We're so excited to offer one of our lucky readers 4 free tickets to the opening performance of Six Stories Tall at 4pm on Saturday, November 10th. Enter right here for your chance to win! *Wait for Rafflecopter to load up right here (if you've gone through RSS feed or are scrolling down the blog and don't see it, click on the actual page title and it should pop right up). Enter like we vote in Chi, IL...early and often. Entries accepted through midnight on 11/2/12. Winner will be announced on Saturday 11/3. Thanks to Adventure Stage for once again providing us with rockin' awesome tickets for our give aways. Check out ChiIL Mama/ ChiIL Live Shows Past Interview With Director Tom Arvetis right here. We have an exclusive interview with Tom Arvetis, Adventure Stage's Producing Artistic Director, and his infant daughter, Vivian, which we first ran in December of 2011. Check out our video below for insights into balancing creative work and parenting, life after birth with 3 girls under 6, their past productions Walk Two Moon, and The Giver. Walk Two Moons was adapted by Tom, who also expounds on "adapting" to fatherhood & life in theatre. We continue our series on "How Creatives Parents and How Parents Create". Nov. 10 – Dec. 13 at Vittum Theater, 1012 N. Noble St., Chicago. Adventure Stage Chicago (ASC) at Northwestern University Settlement House is thrilled to present the Midwest Premiere of Six Stories Tall: a play about mermaids, monsters and spray paint!, written by Marco Ramirez and directed by ASC Producing Artistic Director Tom Arvetis. Pictured top to bottom: Lance Newton, Alyssa Vera Ramos, Alexandar Knapp, Mark Anthony Gonzalez, Sarah Rose Graber, Kevin Brown and Danielle Davis. Production Photos by Johnny Knight. Inspired by Hispanic folklore, Six Stories Tall is a storytelling spectacle unlike anything ever seen on our stage. 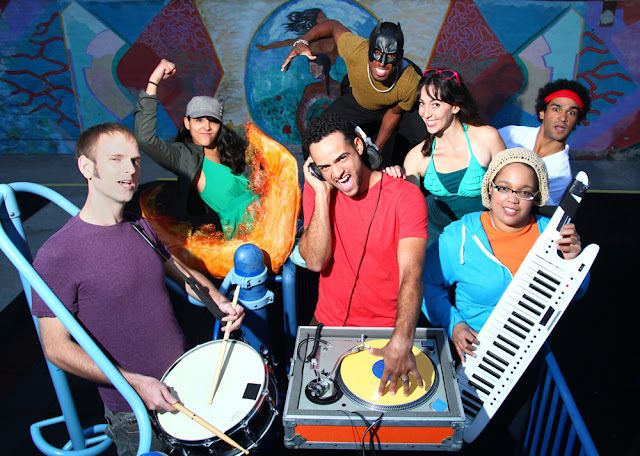 Featuring a live DJ and incorporating a unique mix of narrative influences including comic books, video games, hip-hop music and mythology, the six fantastical tales that comprise this remarkable play create a thrilling, heartfelt journey that families will not soon forget. *Recommended for ages 8 and older (grades 3 and above). Six Stories Tall is a play of six stories commissioned by Washington D.C.’s The Kennedy Center, where it made its premiere in October 2008 under the title Mermaids, Monsters and the World Painted Purple and was nominated for a Helen Hayes Award for Best New Play. 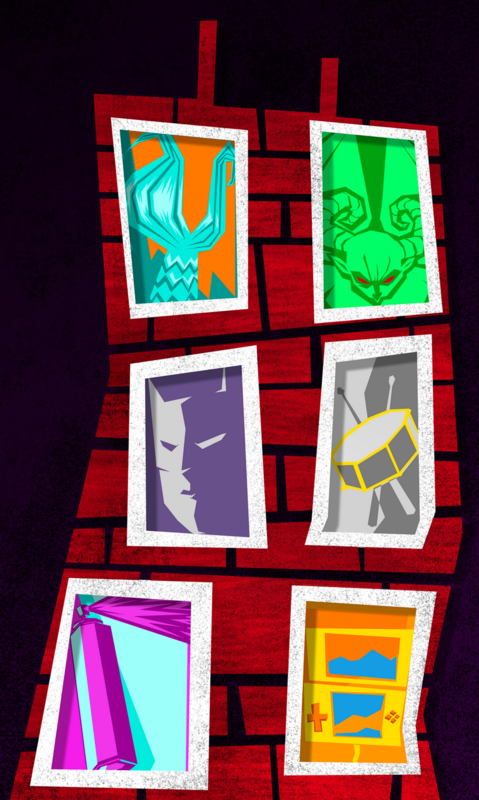 One of the stories in the play, “I Am Not Batman,” was part of the 2007 Humana Festival and won the Heideman Award for Best 10-Minute Play before being incorporated into the complete script of Mermaids, Monsters and the World Painted Purple. 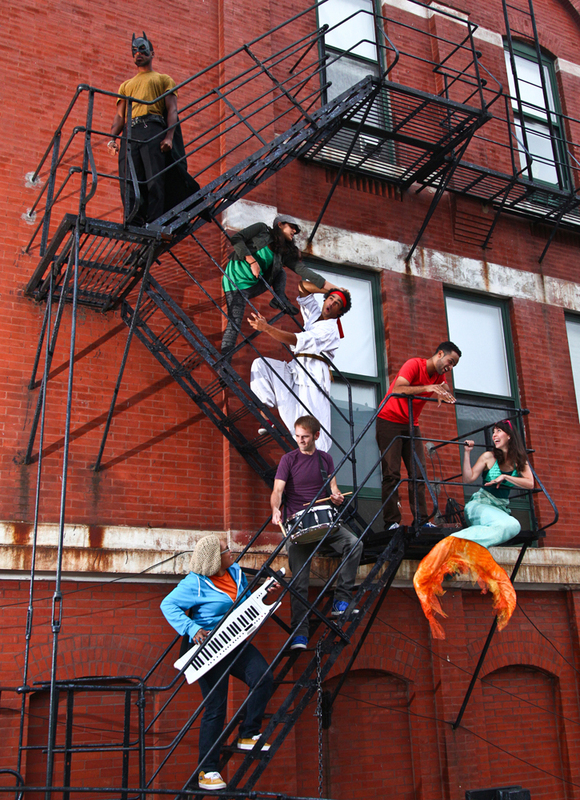 This Adventure Stage Chicago production marks only the second time the complete play has been staged, and the first time under its new title Six Stories Tall: a play about mermaids, monsters and spray paint! School Groups: $8 per student, with one complimentary chaperone ticket for every 10 students. Please join us for a FREE open rehearsal of Six Stories Tall and gain a glimpse into the journey that awaits you as we pull back the curtain for a sneak peek into what you can expect on show day. Refreshments provided. Limited seating - register at 773.342.4141 or www.adventurestage.org. Celebrate opening day with us and mingle with the cast after the show while enjoying yummy cupcakes from Kyle’s Cupcakery. *ChiIL Mama's four pack ticket winner can have a show and cupcakes too!! Settlement Saturday is a day to celebrate our parent organization, the Northwestern University Settlement House, as well as the Settlement's neighbors. This performance includes Spanish supertitles, and the pre- and post-show discussion are conducted in both Spanish and English. The show is followed by a food and game reception in Vittum Theater's Burnside Hall for all audience members to enjoy. Marco Ramirez (Playwright) is a two-time Latino Playwriting Award winner at the Kennedy Center's American College Theater Festival and has had plays produced at The Juilliard School, The Arsht Center, and Actors Theatre of Louisville's Humana Festival of New American Plays (where he's twice received the Heideman Award). TV writing credits include FX's "Sons of Anarchy." He trained at both NYU and The Juilliard School. Tom Arvetis (Director) founded Adventure Stage Chicago in 2004 and is responsible for the creative vision of the company, the implementation of all programming, and the supervision of the theater staff. Tom's directing credits for Adventure Stage Chicago include And A Child Shall Lead by Michael Slade, Katrina: The Girl Who Wanted Her Name Back by Jason Tremblay (world premiere), The Blue House by José Cruz González (world premiere), and A Woman Called Truth by Sandra Fenichel Asher. Tom also directed a reading of Katrina: The Girl Who Wanted Her Name Back as part of the 2008 New Visions/New Voices Festival at the John F. Kennedy Center for Performing Arts. Other directing credits include Dragon/Sky by Elizabeth Wong (workshop reading for Silk Road Theatre Project), The Search for Odysseus by Charles Way (The Simple Theatre) andThe City Wears a Slouch Hat by Kenneth Patchen (Wanderlust Productions). Playwriting credits for Adventure Stage include Walk Two Moons (honorable mention in Chicago Theatre Beat's Best Shows of 2011) and I Dream in Blues (dubbed "the sleeper hit of the season" by the Chicago Tribune). Tom was an Ann Shaw Fellow with TYA/USA in 2009 and a finalist for a 2010 Chicago Community Trust Fellowship. He is a board member with the American Alliance for Theatre and Education.